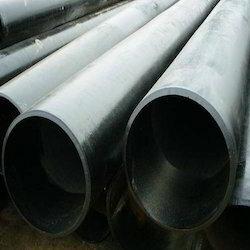 Leading Exporter of carbon steel pipes, stainless steel pipes, steel pipes, alloy steel pipes and tubes and stainless steel welded pipe from Mumbai. With the help of our accomplished experts, we manufacture an exclusive range of Carbon Steel Pipes and Tubes that is designed in industry standards. Our range of these products is available in different specifications to meet the different needs of the customers. These products are generally used in welding, and flanging. 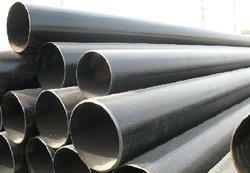 These pipes and tubes are highly appreciated by our customers for its features. 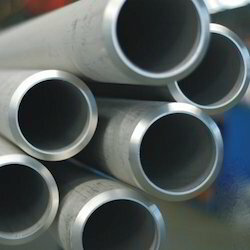 Catering to our vast knowledge, our company has become a precious manufacture and exporter of Stainless Steel Pipes and Tubes. These products are manufactured using high quality materials that sourced from reliable vendors. Customers can avail this range of products from us in different sizes, lengths, and specifications. To make sure best quality product delivery, we check our offered products on various quality parameters under the direction of our skillful quality inspectors. With the assistance of our experienced workforce, we offer a superior quality range of Steel Pipes that is offered in different dimensions and sizes as per patrons' requirements. These pipes are fabricated by our team of trained professionals utilizing sophisticated technology and modern techniques. Apart from this, patrons can avail the offered assortment from us at industry leading rates. Assisted by a team of highly trained professionals, we are offering a comprehensive array of Alloy Steel Pipes and Tubes. Besides being fabricated using superior quality raw material, these products are examined rigorously by our quality auditors against several quality parameters. Our offered products can be obtained in variegated qualities such as corrosion resistance and durability that draws attention of our valuable patrons from every nook & corner of the world.